Here comes another special edition Mustang but this one honors the movie Bullitt, a cop-drama that starred the late Steve McQueen. 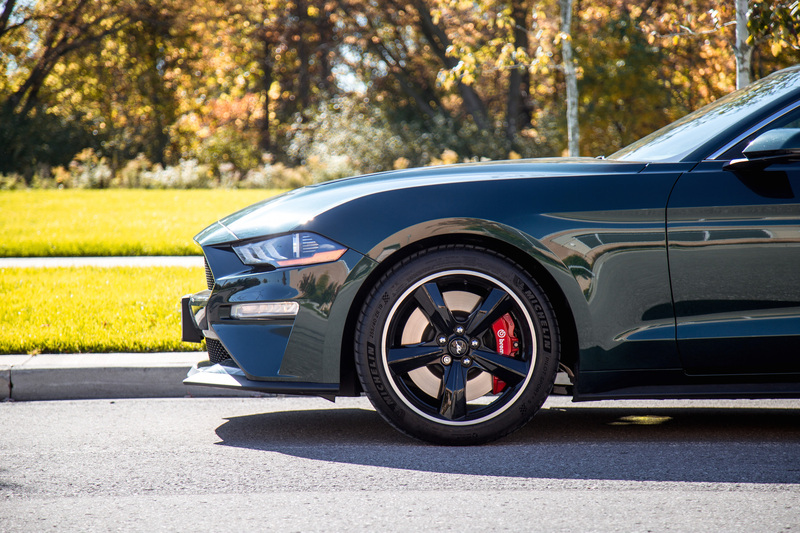 The Mustang Bullitt’s release has been impeccable timed to coincide with the movie’s 50th anniversary too. Now if these two names mean nothing to you, or you are simply too young to have even watched this cop-drama movie, all you need to know is that a fellow drives a 1968 Ford Mustang 390 GT fastback through the streets of San Francisco in pursuit of of an underworld kingpin. Mayhem and crazy car chases ensue. 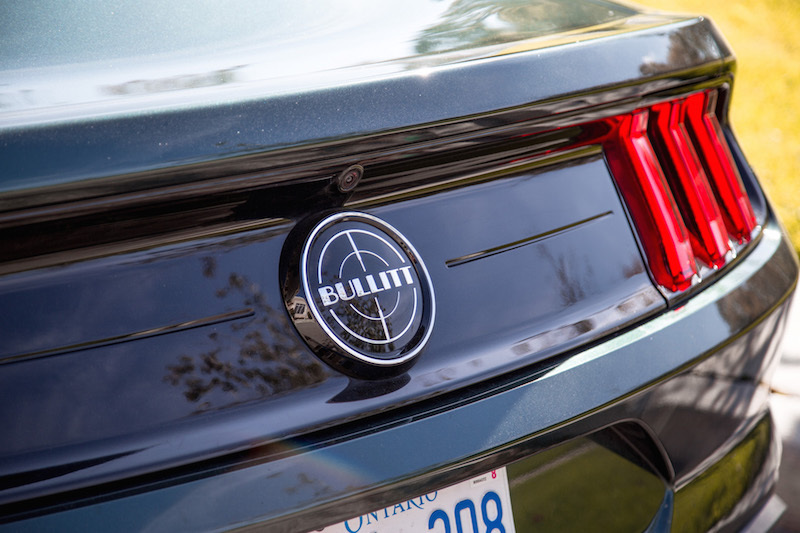 It’s actually not the first time Ford has built a special edition Mustang to commemorate Bullitt. 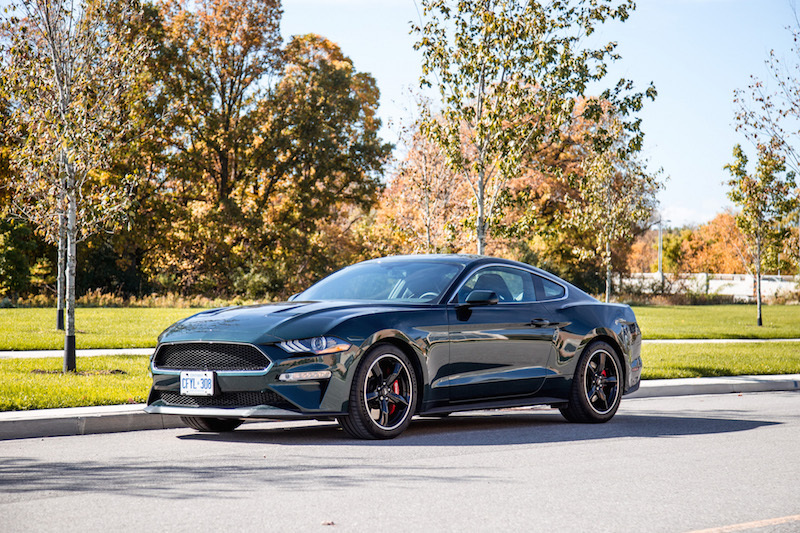 There have been two before this 2019 model, but to my surprise and uncommon on most special edition models throughout the automotive world, Ford has not only added nostalgic aesthetic features like the Dark Highland Green paint (also available in Shadow Black), cue-ball shifter, and Bullitt-appropriate badging on the steering wheel and rear badge, but they’ve also added some performance goodies too. Building on top of the Mustang GT with the Performance Package, the Bullitt adds on six-piston Brembo front brakes, a Torsen limited-slip differential, a larger anti-roll bar, and an intake manifold stolen from the maniacal Shelby GT350, along with some recalibrations to the 5.0-litre Coyote V8. 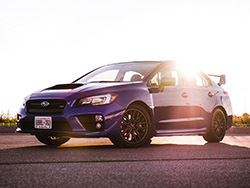 When all is said and done, an extra 20 horses are juiced out of this motor to a total of 480 hp. Ford even had to install a larger radiator to handle the added power. 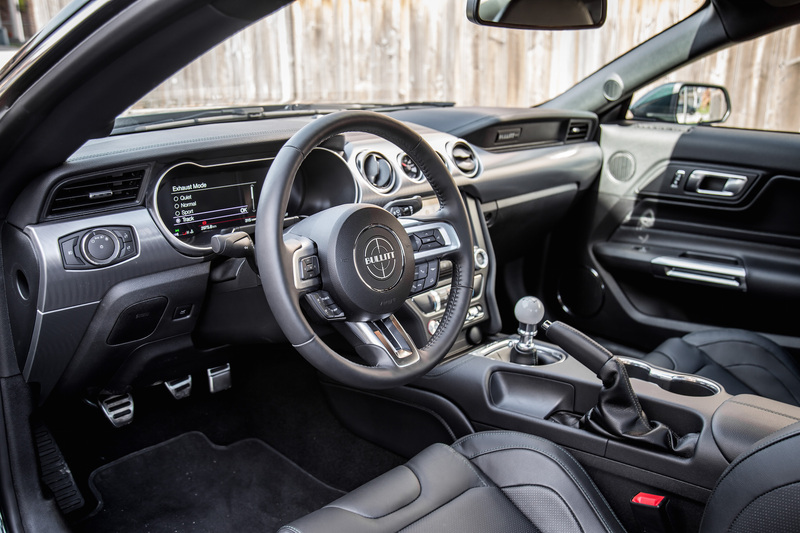 Torque remains stagnant at 420 lb-ft, and a six-speed transmission is the only offering. The front grill is unique too, sans all the Ford and horse badging in an effort to maintain a stealthy appearance, and chrome has been added around the grill and along the window line too. The classic-style wheels and red brake calipers furthen its exclusive appeal. 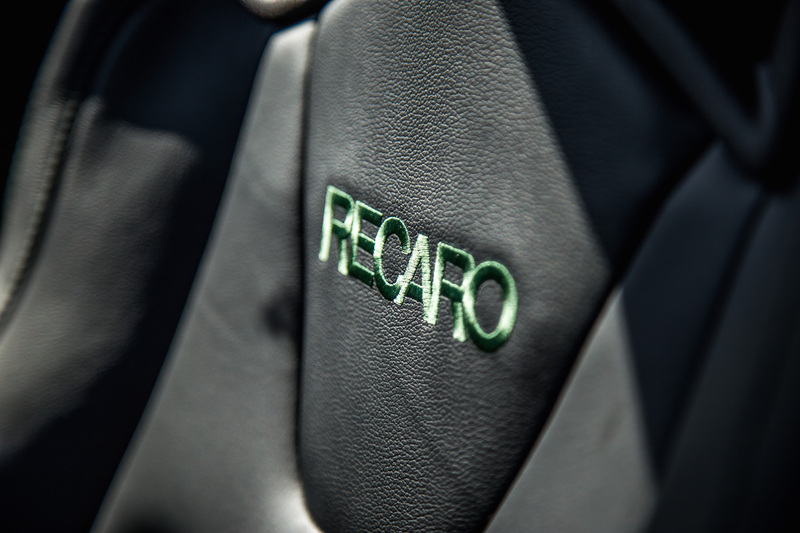 The Recaro seats ($1,800) are stitched in an exclusive green colour, and are much more supportive for my frame than the standard leather seats. 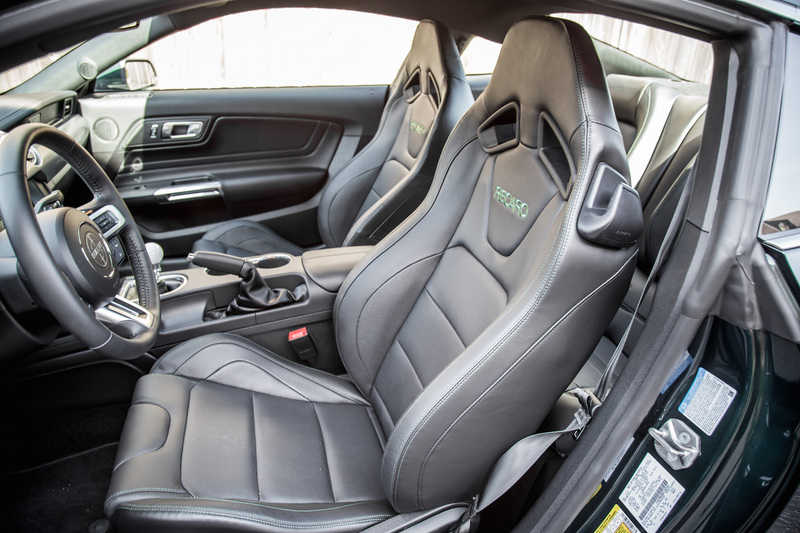 The latter was much too wide and though plush and comfortable like a living room sofa, I would slide about when pushing the car through the twisties. That being said, they don’t come heated or ventilated. That’s okay. You don’t want to drive this car in the winter anyways, leading me to my next point. 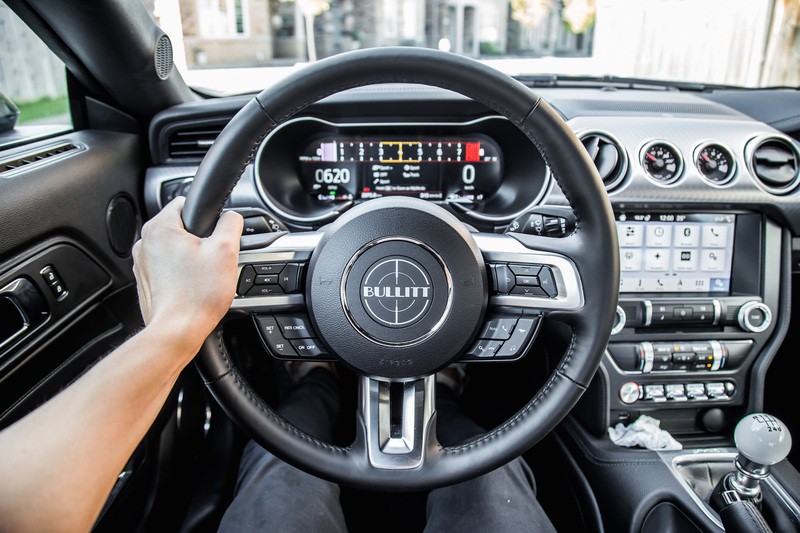 While I’m sure the 2019 Mustang Bullitt is a monumental improvement over the ‘68 Mustang that McQueen drove, I’m still having a hard time taming this beast. 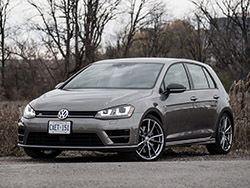 Putting traction to the ground is another story, and by that I mean even with warmed up Michelin Pilot Sport 4 tires, traction control set to ON, and the powertrain set to Normal, just a slight prod of the accelerator mid-corner gets the tail wagging out of control. Okay perhaps not out of control, but enough to catch you off-guard if you aren’t paying attention. Drivers really need to respect that gas pedal and be wary of its bite, or perhaps the lack of it. 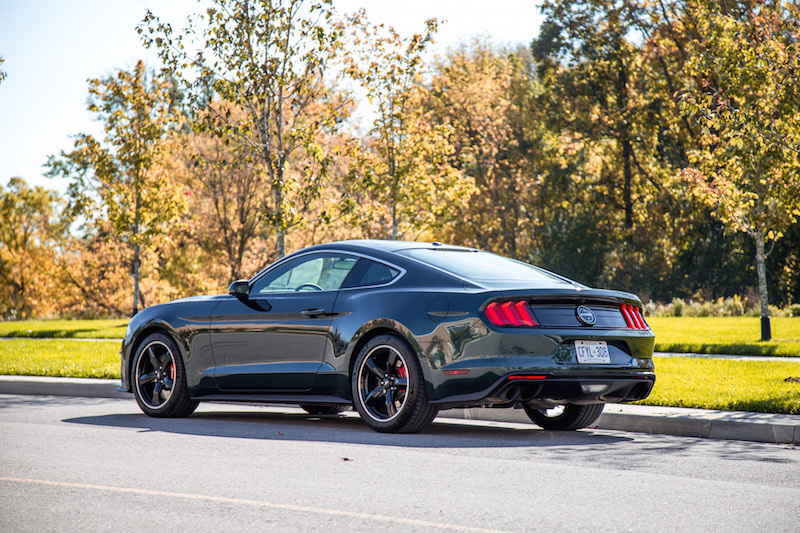 The same criticisms I had of the Mustang GT regarding performance and dynamics apply to the Bullitt as well. You can read our full review of the GT here. The extra twenty ponies that the Bullitt receives aren’t that noticeable. You will really need a back-to-back launch on a long straight to truly appreciate that disparity. 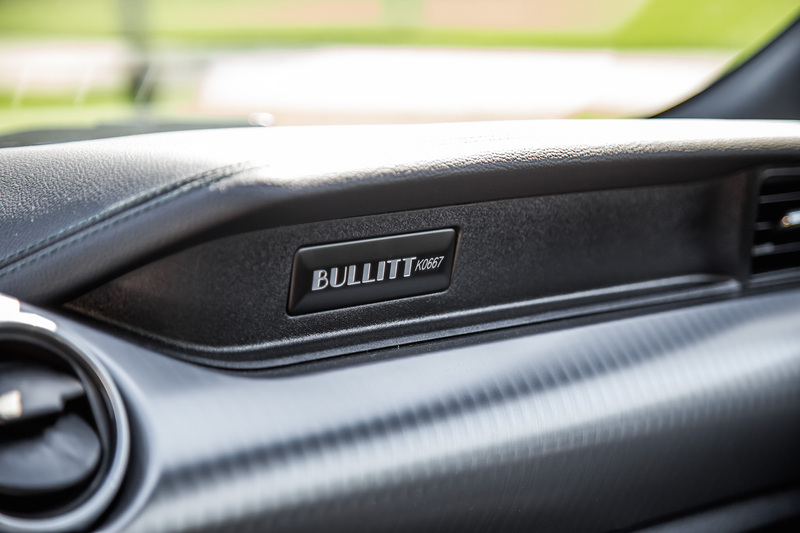 That being said, 480 hp is nothing to joke about, and the Bullitt will bullet (hah) forward in a jiffy. Having that much power at your disposal also gives you proper propulsion in pretty much any of the six gears. 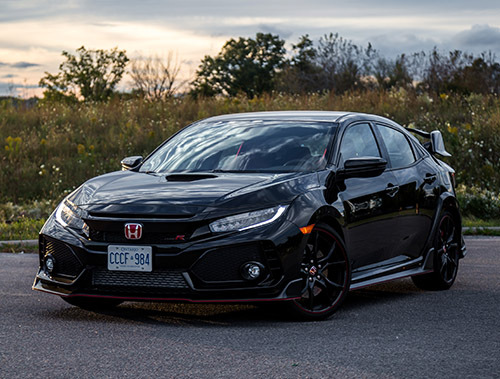 Throttle response feels a touch smoother than the GT, slightly quicker, and happier to rev up to 7,400 rpm redline. There’s an oddly large chunk of powerband to play with here, rare of an American-made free breathing V8 like this. In comparison, most other V8s will cut out before even hitting 7,000 rpm - no fun. Revving up that high also lends a hand to acoustics. The Bullitt’s exhaust is loud, lively, and intoxicating. 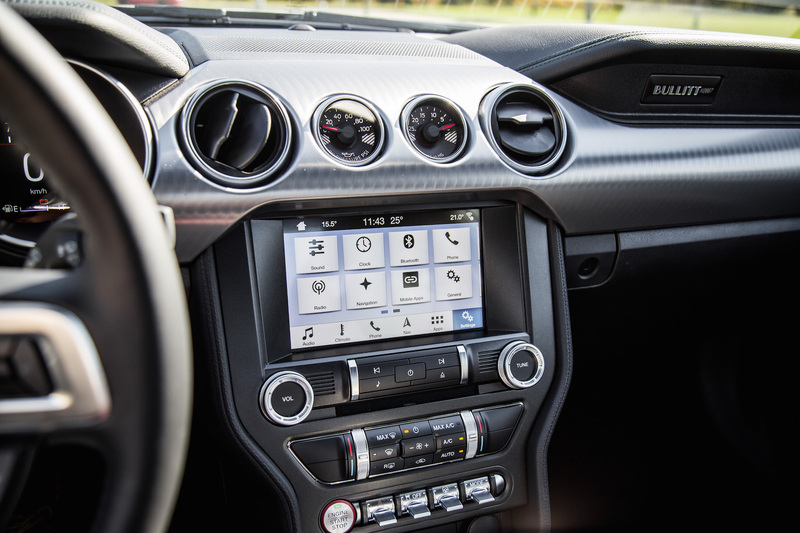 It’s a proper muscle car symphony, and addresses the previous concerns I had with the pre-2018 Mustangs, where I thought they were too quiet. The Bullitt actually sounds a touch louder than the GT too with more burbles when letting off the throttle. 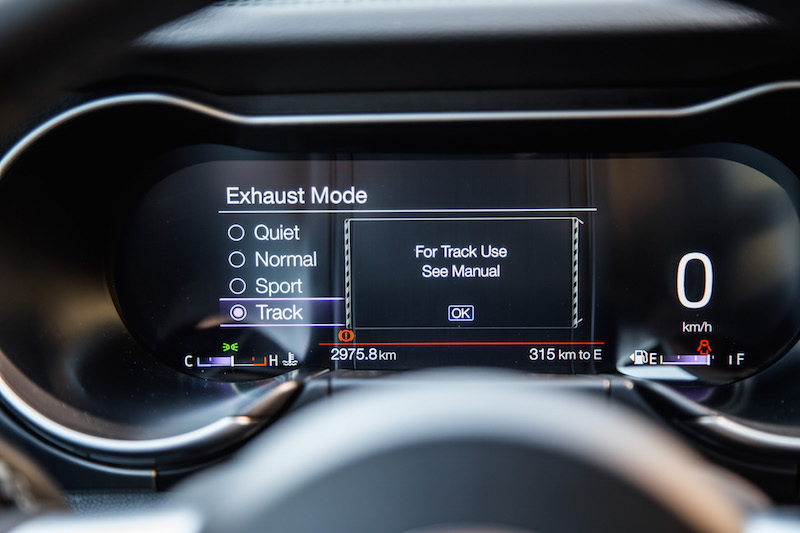 As with the GT, there are four exhaust modes to choose from: Quiet, Normal, Sport, and Track. There’s even a pop-up warning when you select Track that warns you that it’s for track use only. Yeah, no Mustang owner in their right mind will ever abide by that, and certainly not with a Bullitt. The cue-ball gear shifter is a stylish accessory - smooth like a bald librarian’s head - and I really enjoyed shifting with it much more than the GT. For some reason, it feels like it has shorter throws and is a bit smoother when sliding through the gates too. The auto rev-matching works harmoniously with the gearbox, though it sadly cannot be turned off like in the Camaro. Still, the clutch uptake point is too high and vague, and the pedal is way too springy and forceful to be recommended for beginner manual drivers. 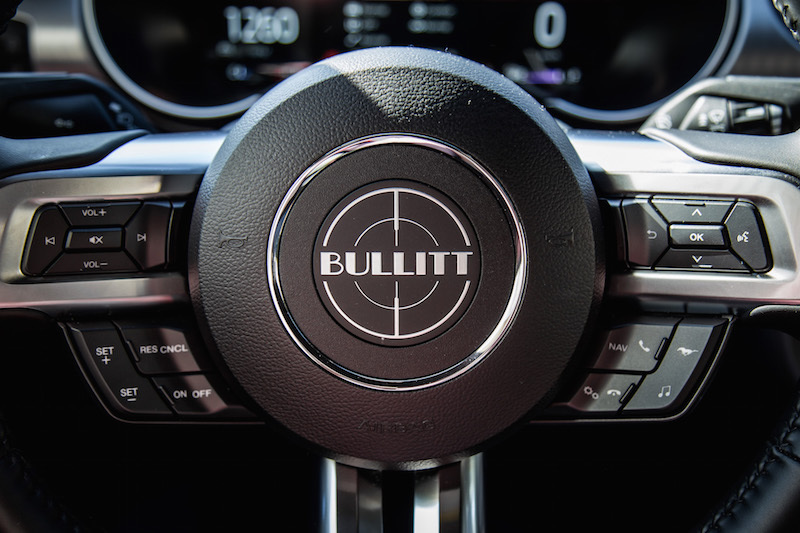 The Bullitt rides really well through town with its magnetorheological dampers (that you can also get on the Mustang GT), but I can’t help but feel it’s been overdamped, and settles on the comfort side of the spectrum rather that dynamic. It quells out potholes and road disturbances incredibly well but fails to keep the body level and flat when hastily changing directions. We noticed the same thing in the GT. 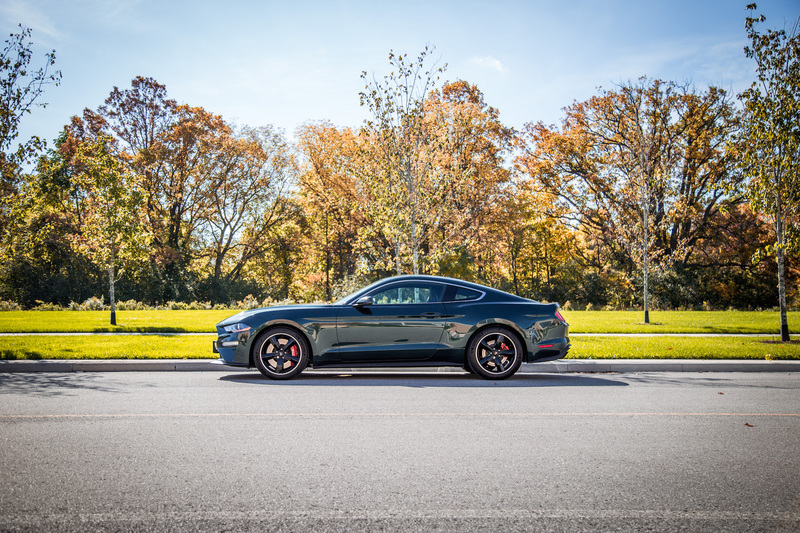 Don’t mistake the Bullitt as nothing more than a Mustang GT with some stickers added on for the sake of nostalgia and brand marketing. 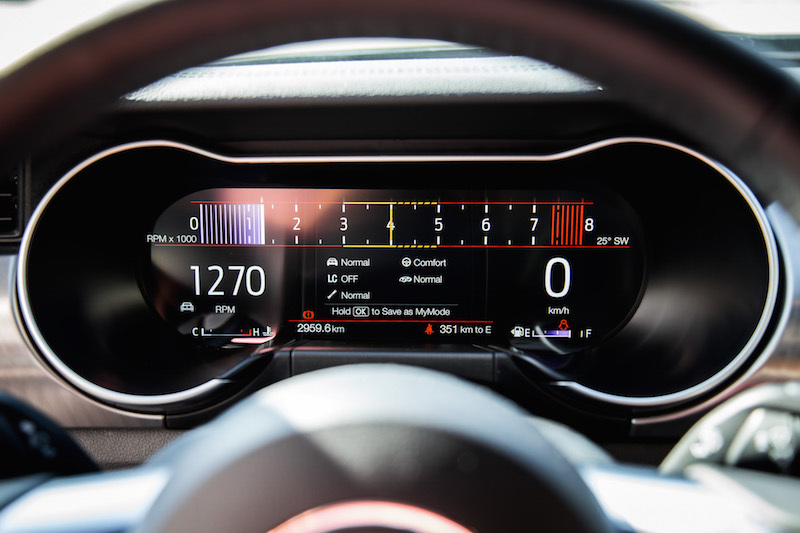 It adds some proper tech and performance goodies, but don’t expect it to be the bridging point between the GT and Shelby GT350 either. It’s not even close. 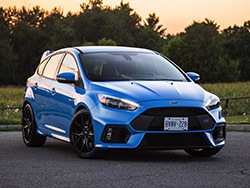 Ford still needs to address the handling, the traction, and the dampers for it to feel like a proper sports car capable of keeping up with its rivals. 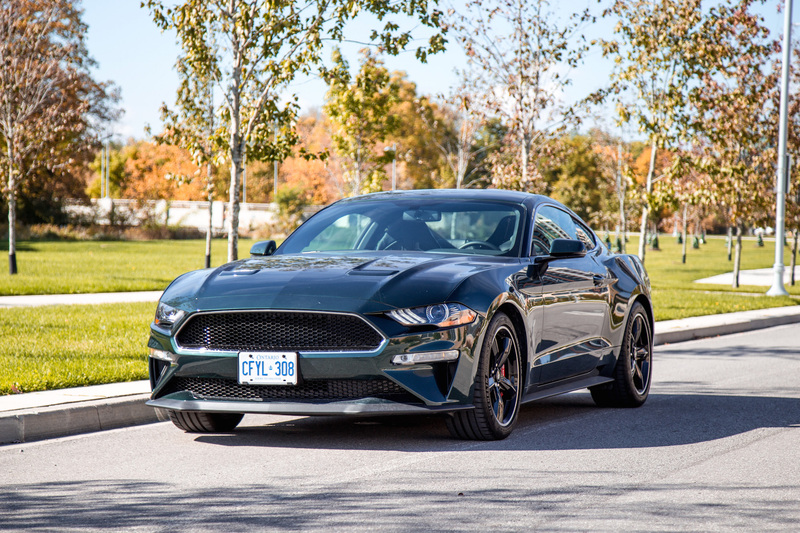 The exhaust is now appropriately loud for a muscle car and the sheetmetal is downright handsome, but the Bullitt may have just missed its mark. Not even an homage to a famous actor and movie can mask the car’s many shortcomings, not to mention that it costs $57,525. 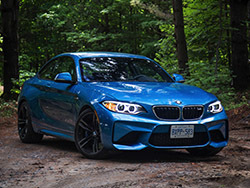 That’s a few thousand dollars more than a fully-loaded Mustang GT, and is a lot of coin when you take into consideration the fact that it’s the same as a fully optioned out BMW M240i. 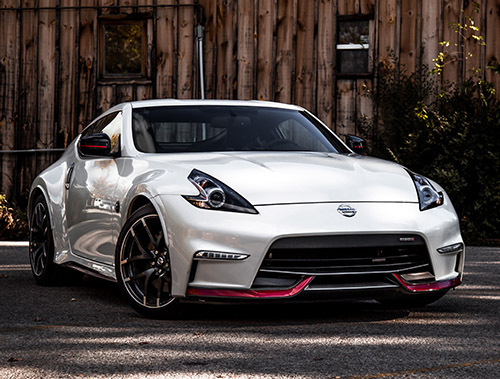 Furthermore, the better-handling Nissan 370Z NISMO costs just $48,498 and the better-driving Chevrolet Camaro 2SS costs $48,745. If you can keep your nostalgic interests at bay, and look past the Bullitt’s handsome paint, then you will realize there are better valued sports cars out there you can use to evade law enforcement.